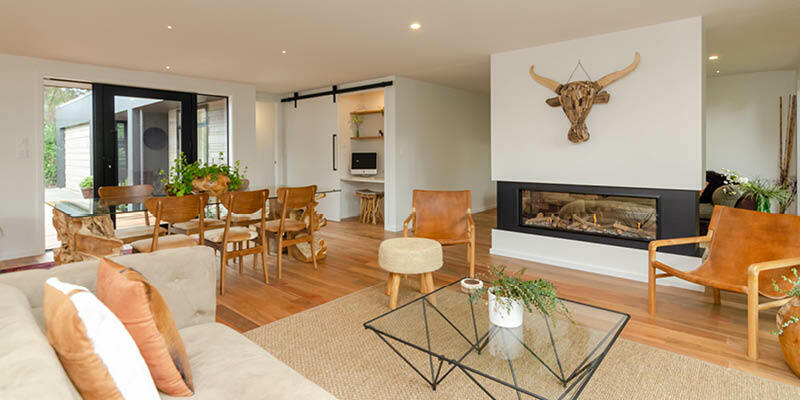 With 20 renovations under their belts, Rob and Tracey Rackliffe combined their wealth of renovating experience with their love of travel to build a beautiful Bali-inspired home in the Wairarapa. “We had spent many holidays in Bali and had always yearned for a warmer climate and slower pace of life”. With this in mind and their grown-up children no longer at home, the pair set out to create a dynamic, natural home that flows freely from one room to another and ultimately lets the outdoors in. The home was designed in wings with a central open plan living, dining and media rooms. 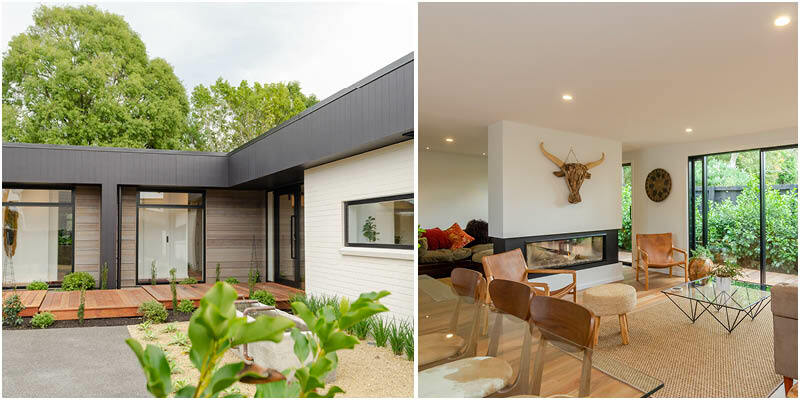 Being seasoned renovators, Rob and Tracey were confident they knew the secret to designing a cohesive home to their taste but would also appeal to future buyers too. They strategically designed the house around an existing waterway which ran through the property, ensuring there were lush garden and water views from most rooms in the house. The layout was designed in wings – one wing for the main bedroom and the other for guests. The guest wing could be completely shut off from the rest of the house and even had its own entrance and hallway for guests to come and go as they please. While all the living areas were designed to flow into each other, Rob and Tracey also wanted them to feel like separate zones. When it came to the media room Tracey says “We didn’t want to make the room feel completely separate, but we still wanted to create a space within the home that could be used as a retreat away from the rest of the living areas”. They chose the double sided DS1400 fireplace for their living area as it fitted in perfectly with their open plan design. The Escea DS1400 Double Sided Fireplace acts as a room divider between the living and media rooms, while visually connecting and heating the two spaces. “We researched a number of different heating options for the home - open fires, log burners, heat pumps, but we kept coming back to Escea,” says Tracey. They also wanted the fire to make a statement as everything else in the home was kept relatively simple and pared-back. With this in mind, they chose a steel black fire surround to match in with the joinery and found the artwork above the fireplace while in Bali. Keeping with the organic theme, they chose the ‘logs’ fuel bed as they thought this was the most natural looking. 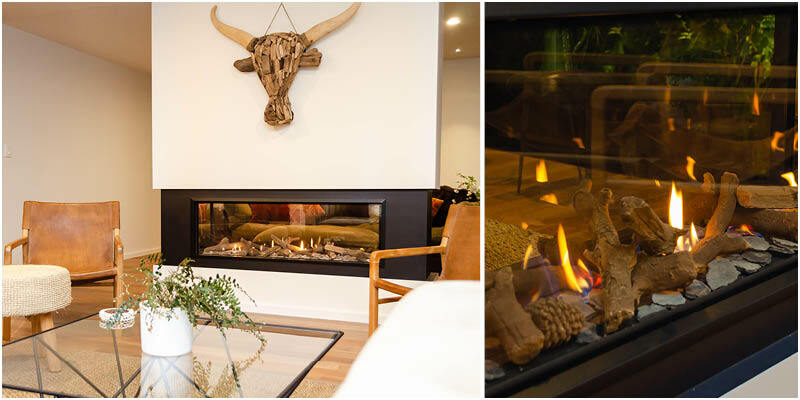 The fireplace is clad with a steel black frame while the artwork above was a purchase from Bali; the logs fuel bed was chosen based on its natural appeal. To let in as much natural light as possible, they installed large windows and doors which created the indoor-outdoor flow they desired whilst also making them feel connected to the outdoors, whether they were open or closed. In the kitchen, they kept it simple – a pared-back colour palette with white benchtop, handle-less cabinets and for wow-factor, they installed a birch oak cabinet under the breakfast bar with matching shelving in the office nook. As another nod to their renovating experience, Tracey and Rob chose to incorporate the office nook as part of the living area so they would actually use it. Tracey explains “In our previous homes we had a separate office that we never used, so we decided to have it in the living area where we would actually use it.” For visual interest they added a large white barn slider so it could be closed off from the rest of the living areas too. 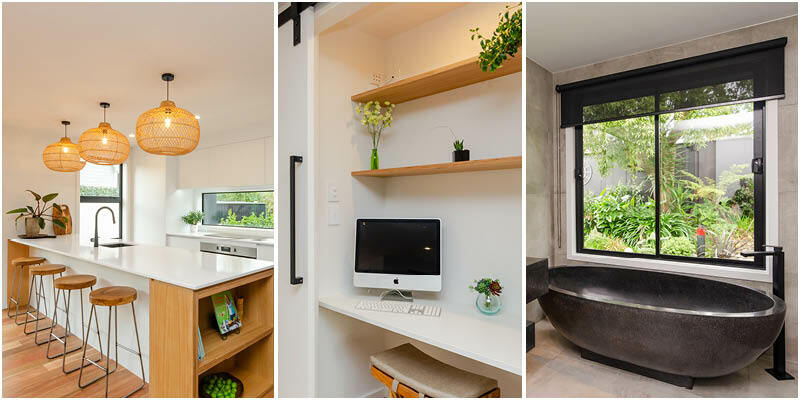 A simple colour pallate was chosen in the kitchen with a custom-built birch shelf for wow-factor; a sliding barn door conceals the office nook when it’s not in use; large windows were installed in the bathrooms to let natural light in and give beautiful views of the garden. 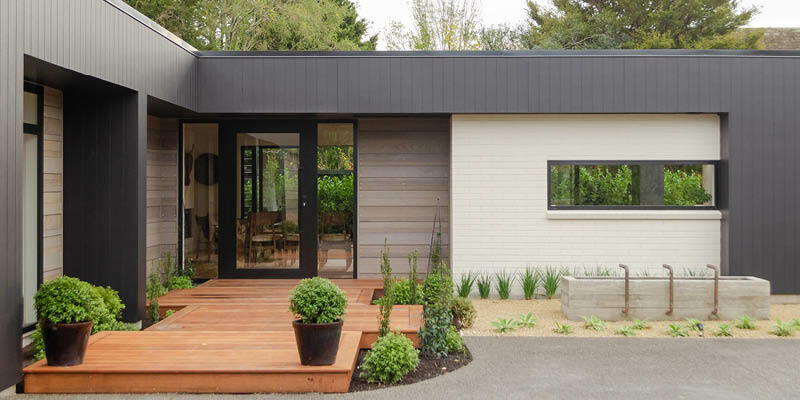 The home’s exterior was an easy choice “We had always loved cedar cladding with black”. They stained the cedar grey as it tied in with the simple colour scheme and used Axon panels that were painted black. Their architect suggested using white bricks which Tracey said “we ended up loving as they introduced more texture to the home”. Sourced directly from Bali, garden ornaments and statues are scattered throughout the garden along with a custom-built water feature which greets you at the entrance, completing their latest project which feels more like a Bali-style retreat. The home's exterior is clad in cedar, Axon panels and white bricks with a custom-built water feature which sits at the entrance. How do you choose the best fuel bed for your fireplace?